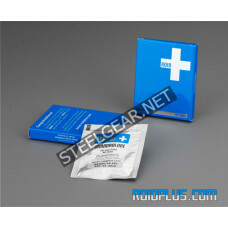 What is Roid Plus Oxandrolone (Anavar) 30 Tablets 10mg ? Below we go into detail regarding an often-misunderstood anabolic steroid, Anavar. Also known as Oxandrolone, we will look at a number of things, including the basics of the drug, how you can use Anavar, what the best mix of other compounds is with Anavar, the primary effects of Anavar, side effects of Anavar, and more. Anavar is among the most popular oral steroids ever sold. Enjoyed largely because it has far fewer side effects than other anabolic steroids, Anavar can be used by both men and women for strength training. However, unrealistic expectations by some in the bodybuilding community have resulted in Anavar becoming less popular due to fears that it was too weak to be effective. Misunderstandings aside, Anavar can be a beneficial steroid for those looking to improve their performance. One reason for its unique qualities is its molecular formula, which classifies it as a dihydrotestosterone (DHT). This format increases the anabolic activity of the hormone, allowing it to last far longer than some of the other anabolic steroids out there. Anavar is most often taken orally in pill form. The synthetic hormone is responsible for inhibiting glucocorticoid hormones, decreasing SHBG levels, and increasing nitrogen retention. Anavar, like many other anabolic steroids, require careful trial and error if this is the first time you are using them. Unlike other anabolic steroids, you typically have more room for error with Anavar, thanks to it being very friendly to our physiology. Begin with a range of 5 to 10mg a day. For women, stopping here is good for performance enhancement. For men, going upwards of 20, 30, 40, and even 50mg a day may be beneficial. Above that level, you begin risking diminishing returns. Being taken orally and risking toxicity in your liver, you will want to take small breaks between cycles. For most beginning cycles, look to take Anavar for 2-4 weeks. For experienced bodybuilders who have developed a tolerance, consider taking for 6-8 weeks. What Is The Best Mix With Anavar? Over the counter medication should be limited when taking Anavar. In addition, because Anavar will be taxing your liver, it is best to reduce the amount of drinking you do during this time as well. Anavar is often used with other bulking steroids in bulking cycles, thanks to it aiding in nitrogen retention. Anabolic steroids that you should consider stacking with Anavar include Primobolan, Masteron, Winstrol, Equipoise, and Trenbolone. Finding Anavar may be a little challenging. It cannot be legally sold in the United States and it is not produced in this country. In addition, Anavar is not typically available on the Black Market thanks to other anabolic steroids that claim to do what Anavar does better. Finding Anavar often means dealing with potential issues of quality. For whatever reason, Anavar in particular struggles with issues regarding fake pills, watered down pills, and pills that may just be crushed versions of other anabolic steroids. The best way to confirm what you are taking is to go through someone you trust and use his or her source. As mentioned above, Anavar can help you inhibit glucocorticoid hormones, decreasing SHBG levels, and increasing nitrogen retention. Nitrogen retention is incredibly important in helping you to build muscles quickly. In addition, it also helps you reduce the amount of fat on your body. Along with gaining mass and reserving existing lean tissue, Anavar greatly improves athletic performance. Muscular endurance, as well as your rate of recovery will be improved with Anavar. Side effects for Anavar fall into a number of categories and increase in risk with the more Anavar you take. That being said, the potential side effects of Anavar are still less than what you will experience with other anabolic steroids. One chief side effect that many men fear is estrogen production through the aromatize enzyme. With Anavar, there is only a very small chance of this happening. The same is true for Androgenic side effects. You will have to take very high doses for an extended period of time to risk experiencing the hair loss and acne. Virilization can also occur in women who take too much Anavar. Other side effects include cardiovascular issues raised by higher levels of cholesterol, issues with repressed testosterone production, and even hepatoxcitity if break periods are not added in between cycles. The range of 20-50 mg per day for men and 5 mg daily for women for about 6-8 weeks.